Great experience ! Mike Hanley went out of his way to get the car ready in a very short time. All that was promised, was delivered. Thanks Mike! Chris was amazing and so helpful. Highlight recommend this dealership for anyone looking for an amazing customer experience ! My personal experience was amazing. Gus Netto was great to me. He was very knowledgeable and respond all to all my calls and emails in a timely fashion. I would highly recommend him to anyone. The financial manager, Jose, made the purchasing process very comfortable and made me feel confident in my decision. The entire staff was very accommodating to my request to not drill licenses plate holes in my front bumper. 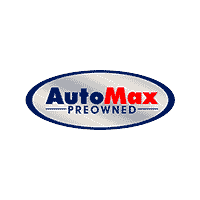 Thank you Automax Preowned! Great experience! They did everything they could to help me get a vehicle that I wanted. Everyone very friendly and efficient. Very well trained staff, they certainly made my life easier. Matheus C. was very efficient from the beginning, he helped me get the car I wanted. I'd recommend to everyone. .The Salesperson (matheus ) was helpful and not pushy at all. I appreciate that I did not feel pressured by anyone and was able to take the time that I needed to make a decision. I had a great experience buying a new car. Paula was very flexible and awesome.